So first of all you need to have jdk 1.5 or higher, tomcat (6.0 or 5.5) and Eclipse IDE for Java EE Developers(You may use Eclipse for Java Developers, with another web devepment plugins as well) installed. For tomcat managing I'm using Sysdeo tomcat plugin. Then you need to have svn and maven plugins installed on eclipse. I'd prefer Subclipse and M2Eclipse correspondently. 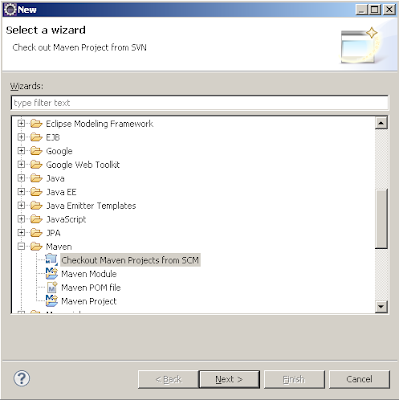 After plugins installations you may checkout project, via menu: File>New>Maven>"Checkout Maven Projects from SCM". 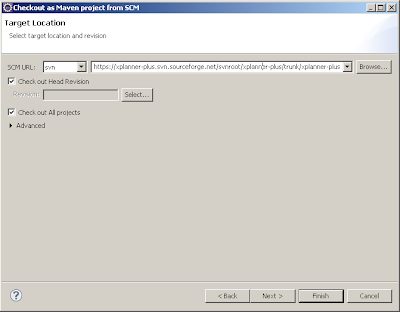 On next screen, In SCM URL choos svn, and paste url https://xplanner-plus.svn.sourceforge.net/svnroot/xplanner-plus.